An unknown force is searching for the 5 elemental True Runes by fueling existing conflicts. Three lives from opposing forces in the Grassland War hold the fate of all living things. Can these three discover the secrets of the Flame Champion, find the True Runes and live up to their destiny to forever change history? All 108 Stars of Destiny and how to recruit them. A complete walkthrough of the game. Special thanks go to Cyril for allowing us to use her walkthrough. In-depth guides to gameplay; as well as statistics on enemies, weapons, runes, and characters. Tips and tricks that will help your gameplay or simply amuse you. Transcriptions of some memorable scenes from the game. Game Saves (can be used with a Datel X-Port and Codebreaker) taken from throughout a playthrough of the game. These in-depth analyses examine the battle system of Suikoden 3, exploring how to make the most of your party and of your time spent playing the game. 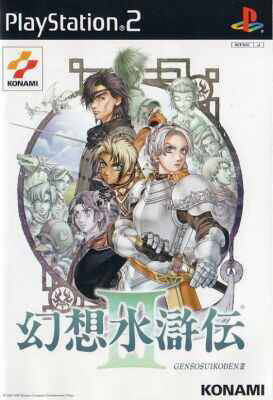 This lists all available releases of Suikoden III across all platforms and various re-releases over the years.